Happy 6th Birthday Chookshed...Its the place to be this weekend with all the bubbly, nibbles, design walls and friends. Im making this in Drops Eskimo 100% wool. I started last night and its growing very fast. 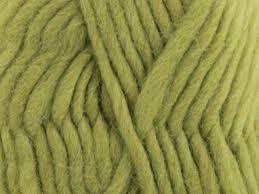 I'm making it in Yellow Green, tis a nice change from black lol..
Love this..... And the colour you choose is perfect... . Your dream sounds nice, but not suitable for wearing your snuggly new cardy. It looks to be a great pattern. I’d swap with you! We’re having a heatwave - warmest Mat since 1947... with temps reaching 30-33 celsius during the day. Very unusual for this part of the world - especially in Mat, but can happen in July or August. Enjoy, looks like a great cardi for winter and a nice colour. Keep dreaming...and knitting...in case it stays cool where you are!! - what a great colour!